Accent walls are not solely for living room and bedrooms. 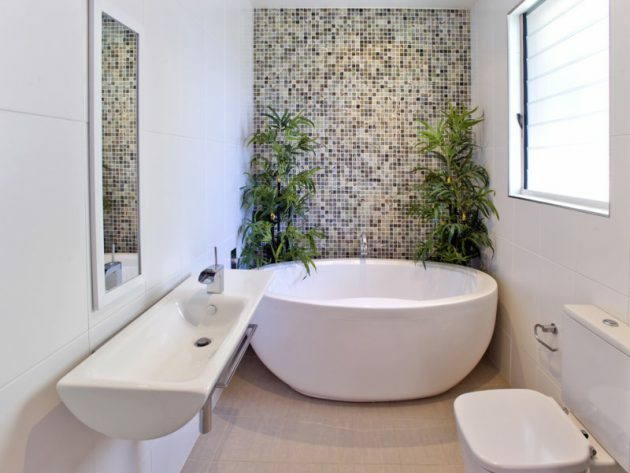 Today, you can incorporate this decorating style to your bathroom to create more drama to your flat and lifeless space. Ceramic tiles have no competition when it comes to the bathrooms. 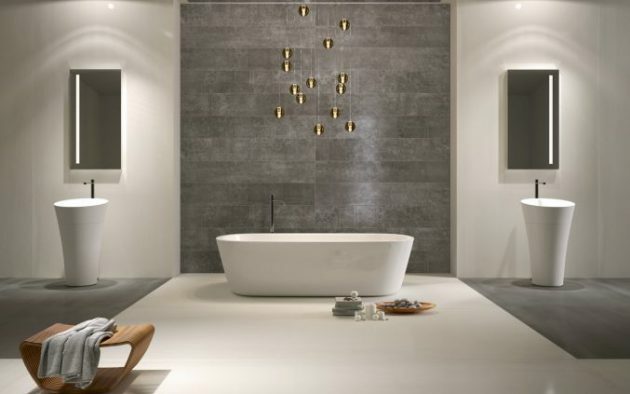 In addition to painting the walls with water-based paints or oils, ceramics in bathrooms are absolute ruler of the bathroom walls. There is also the possibility of setting up wood paneling and accenting the walls with natural or synthetic stone. If you like to follow the latest trends, we recommend you placing one accent wall, which is especially attractive in aesthetic terms. 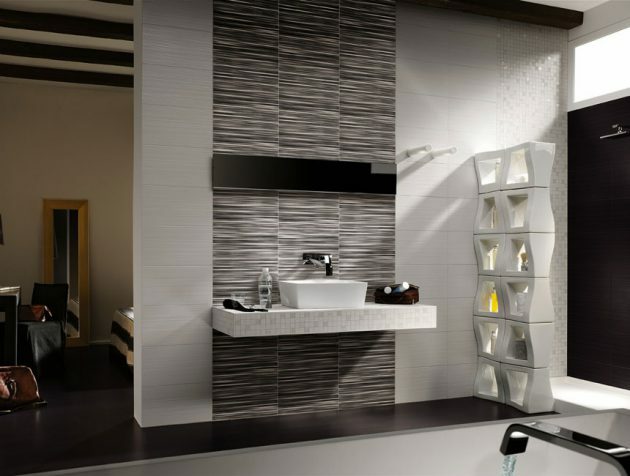 But, by carefully combining simple tiles and mosaic tiles, you may get an accent in certain parts. The marble walls will always give the maximum dose of luxury and trendy are the plastic or paper wallpaper with special coatings that allow their installation in wet areas such as bathrooms. So, it is a special wallpaper designed exclusively for the bathroom, so be sure to be careful not to replace the usual. When you do the final selection of wall coverings, you should consult with experts who will point out their advantages and shortcomings – this is especially true if you suspect that some materials, such as certain types of wood, well tolerate steam and moisture, which is inevitable in the bathrooms. The same is true for the mandatory involvement of trusted contractors, that will guarantee quality setting for certain wall coverings. So if you need some inspirational idea how to highlight one wall in the bathroom, take a look below, and you will find many ideas that will make your bathroom to look more pleasant and attractive!